Spring campers be ready, it’s feeding season. 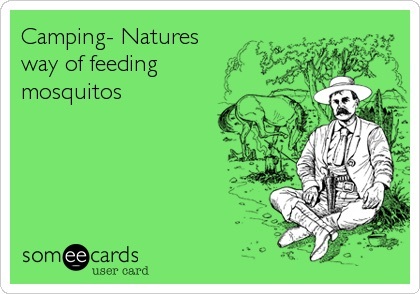 Mosquitos will be out feasting on you soon. ← How to Make A Swedish Log Candle. I never would have thought it, but we were eaten alive at a beautiful campsite near Venice, Italy. We got one of those battery run mosquito swatters. It was our life saver.